I love the water lilies at the north side of Trillium Lake. This one is just about to open! Beautiful! I love water lilies too. It is really beautiful. Never seen like that thanks for sharing and the visit too. Lilia wyłania się z wody, pięknie to wygląda. Pozdrawiam. Lily emerges from the water, it looks beautiful. Yours. Lovely and that water looks so peaceful and calm. Very nice, it would be good to see what it looks like in a day or two also. a lovely photo...i haven't seen a yellow lotus flower before. 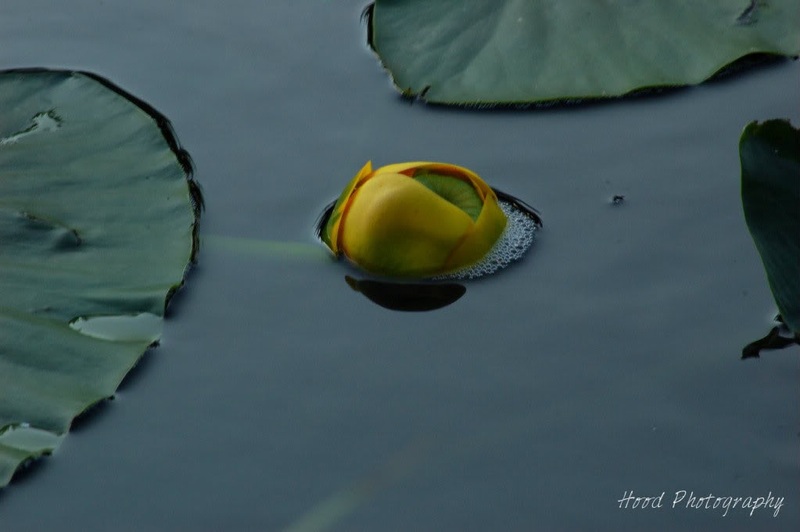 I love water lilies! If I have have a yard I will totally install a pond with lilies! Wonderful! It looks almost like an animal!